One thing my children and I love is the ocean! We also love all the beautiful fish in the ocean and have watched many shows about them. We love to see and learn about the various types of fish that live in the different parts of the world and in different oceans. Reef fish are our favorite types to see and learn about. 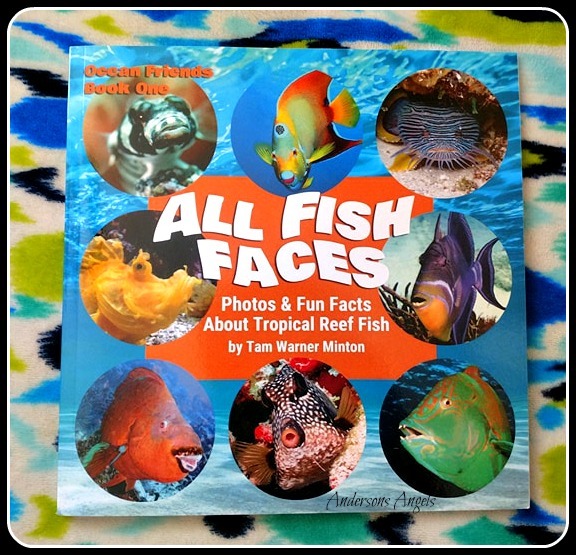 Recently I received the book ALL FISH FACES: Photos and Fun Facts about Tropical Reef Fish to enjoy with the kids. 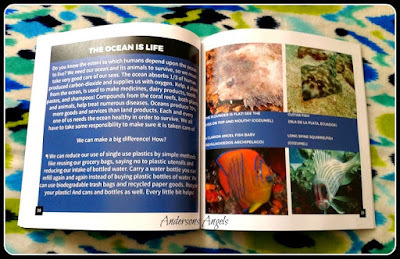 This book is not only a fun book to look at but it also is a tool to help teach our children about the importance of our oceans. We all know that tropical fish are beautiful creatures, but not everything is as perfect as we may think for them. The underwater world is currently facing major changes and challenges. The climate change is forcing tropical fish and other ocean life into cooler and foreign waters. This change in the ecosystem can make food supplies scarcer for tropical fish, other creatures, and even commercial fisheries. Tam Warner Minton is the author and photographer of ALL FISH FACES: Photos and Fun Facts about Tropical Reef Fish. Through citizen science, Minton was able to join scientists on fieldwork explorations around the world and photograph her findings beneath the surf. The result is this stunning photographic book of tropical fish faces, containing educational facts as well. This book has sparked more of a interest for my oldest two about the marine world. They have asked about any local classes or workshops they could take to learn more. 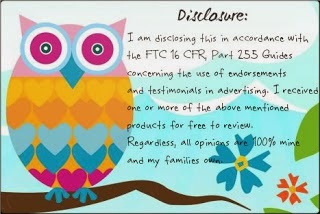 Since were in Ohio the resources for us is limited compared to those who live Florida or a Gulf Coast State. If you or our kids love fish then I would recommend picking this book up. It would make a great Christmas Gift for anyone who loves the ocean and tropical fish. This looks like a really informative book and I think my kids are going to learn a lot about fishes through this. Going to get this for them soon.